Dr. Charles Jonassaint is a practicing clinical health psychologist focusing on the implementation of behavioral intervention technologies in low-resource settings. He has clinical expertise in chronic disease self-management and cognitive behavioral therapy and has had extensive experience working with underrepresented and underserved patients. He completed his graduate training at Duke University and medical psychology residency at the Duke University Medical Center. He went on to do a clinical research fellowship at Johns Hopkins University School of Medicine, as well as, a Masters in Epidemiology at the Johns Hopkins Bloomberg School of Public Health. He is currently funded through an NHLBI K23 grant to lead a program of research in sickle cell disease focused on designing and testing evidence-based mHealth tools for improving stress and pain management. Charles is also the co-inventor of two mobile apps for assessing patient-reported outcomes, innovations that are specifically designed to meet the needs of underserved populations. He is the co-inventor of an SCD specific self-management app called SMART: The Sickle Cell Disease Mobile Application to Record Symptoms via Technology. Testing of SMART has led to two publications and is now being used in four funded studies at three institutions. His team has also developed a novel tool for assessing pain called Painimation, a tablet-based app that allows patients to use animations and graphical images to describe their pain experience. 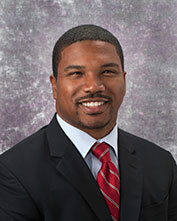 Dr. Jonassaint is a practicing clinical health psychologist with an MHS in cardiovascular epidemiology. He has clinical expertise in chronic disease self-management and cognitive behavioral therapy, and has had extensive experience working with patients from under-represented minority groups. His current clinical practice is with adolescents and adults with sickle cell disease. Jonassaint, C. R., Jones, V. L., Leong, S., Frierson, G. M. A systematic review of the association between depression and health care utilization in children and adults with sickle cell disease. British Journal of Hematology. 2016; 174(1): 136-47. Crawford, R., Jonassaint, C. R. Faster is not always better: Adults with sickle cell anemia perform cognitive tests as well as controls when processing speed is taken into account. Journal of Advanced Nursing. 2016; 72(6): 1409-16. Schneider, A. L. C., Jonassaint, C. R., Sharrett, A. R., Mosley, T. H., Astor, B. C., Selvin, E., Coresh, J., Gottesman, R. F. Hemoglobin, anemia, and cognitive function: The Atherosclerosis Risk In Communities (ARIC) study. The Journals of Gerontology. Series A, Biological Sciences and Medical Sciences. 2016; 71(6): 772-9. Jonassaint, C. R., Beach, M. C., Haythornthwaite, J. A., Bediako, S. M., Diener-West, M., Strouse, J. J., Lanzkron, S., Onojobi, G., Carroll, C. P., Haywood, C Jr. The Association between Educational Attainment and Patterns of Emergency Department Utilization among Adults with Sickle Cell Disease. International Journal of Behavioral Medicine. 2016; 23(3): 300-9. Booth, J. M., Jonassaint, C. R. The Role of Disadvantaged Neighborhood Environments in the Association of John Henryism with Hypertension and Obesity. Psychosomatic Medicine. 2016; 78(5): 552-61. Jonassaint, C. R., Shah N., Jonassaint, J. C., De Castro, L. Usability and Feasibility of an mHealth Intervention for Monitoring and Managing Pain Symptoms in Sickle Cell Disease: The Sickle Cell Disease Mobile Application to Record Symptoms via Technology (SMART). Hemoglobin. 2015; 39(3): 162-8. Jonassaint, C. R., Varma, V., Harris, G. C., Chuang, Y., Yasar, S., Polinder-Bos, H., Carlson, M. C. Lower hemoglobin is associated with poorer cognitive performance and smaller brain volumes in older adults. Journal of the American Geriatric Society. 2014; 62(5): 972-3.